From this section it is possible to access to each project partner description. 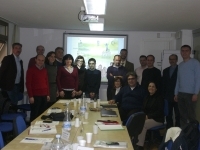 There are nine partners involved in seven different European countries. The transnational partnership includes universities, education and training organizations and one technical partner.